Herb Art Hotel is an artistically designed hotel located in Luodong, Yilan, only 10 min walk to the hotel from the Yilan Railway Station and Luodong Forestry Culture Garden. Fu Hsiang Hotel is a splendid business hotel featuring neoclassic architecture and interiors. 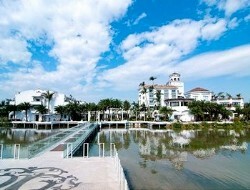 Fu Hsiang Hotel is near Luodong Sports Park, Dongshan River Water Park and many other attractions in Yilan. 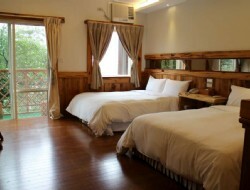 Jin Hua Hotel is a Yilan hotel, located at the heart of Luodong Town. Among Yilan hotels, the hotel features an ideal location with nearby attractions such as Chongshan Park, Luodong Night Market, Luodong Forest Area, Luodong Sports Park, National Center for Traditional Arts, Dongshan River Water Park. Located on the bank of Dongshan River, the Riverside Inn is a great hotel set in a bright, modern, and stylish building. This hotel features its significant river views over Lan-Yang Plain, Yilan. 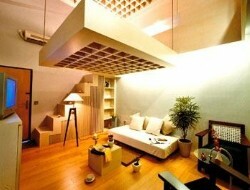 Kavalan Hotel is a cozy Yilan hotel with an ideal location in downtown Luodong Town. Among Yilan hotels, Kavalan Hotel Yilan is a well-equipped business hotel nearby Luodong Night Market, Luodong Sports Park, and National Center for Traditional Arts for your Taiwan travel. 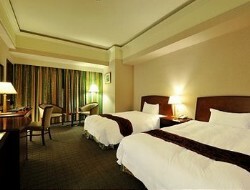 Grand Boss Hotel is situated in the most prosperous area of Yilan City, northeastern Taiwan. Set in an ideal location, the hotel is around 3 minutes by car from the Yilan Railway Station, providing an easy access to the night market, restaurants and shopping stores. Situated on the foot of Da-yuan Mountain, Yilan County, Shangrila Leisure Farming is about 250 meters in altitude and within a temperate weather condition in four seasons, being another good choice for your Taiwan travel trip. Yilan Shangrila Boutique Hotel is a modern hotel in Yilan, Taiwan. This contemporary Taiwan hotel has a wonderful location close to Dongshan River Water Park, Luodong Sports Park, National Center for Traditional Arts and many others for your Taiwan travel.